The Kentucky Derby will hold its 145th edition on May 04, 2019 in the dirt track of Churchill Downs, Louisville, Kentucky. All horse racing fans are expecting to see a lot of three-year-old thoroughbred racers to compete in the Grade 1 Stakes category. This year’s edition of the Kentucky Derby will also hold the toughest contenders of horse racers across the country. While there are lots of options to look and choose who should be the real Kentucky winner is, it important that you bet for the odds you think will be in favor. 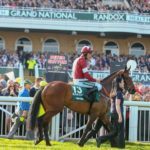 It is true that there are several factors you need to consider especially when picking the right horse winner. By simply doing your research while we are a few weeks away from Kentucky will still help you in taking part in profitable betting. 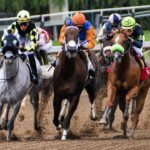 Hence, as you go along and do your research in line with the probability and statistics of winning of your horse entry, we’d like to add up some essential ingredients you can apply to make sure you pick the right Kentucky Derby winner. These tips will also ensure you that you can take part in a more bankable type of betting. Let’s get it started! As mentioned, Kentucky Derby this year will be attended by more than twenty strongest and mightiest horse racers in Grade 1 Stakes category. Aside from that, the betting categories are wide in which you can partake in various betting options that provide a different amount of wins depending on the difficulty of predicting the right winner. In that sense, playing safe when it comes to picking the right winner will surely help you get the prize where you specifically wage. 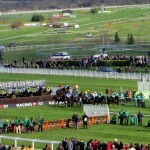 In most cases, most bettors try to predict race winner through algorithms. This might work but it looks complex. The easiest way to bet in picking your right Kentucky Winner is sticking with the favorites. Always refer to the odds and look at the advantage of each entry. Lastly, expert bettors always update their predictions inline of who’s tough or not and you may refer to their opinions as well. 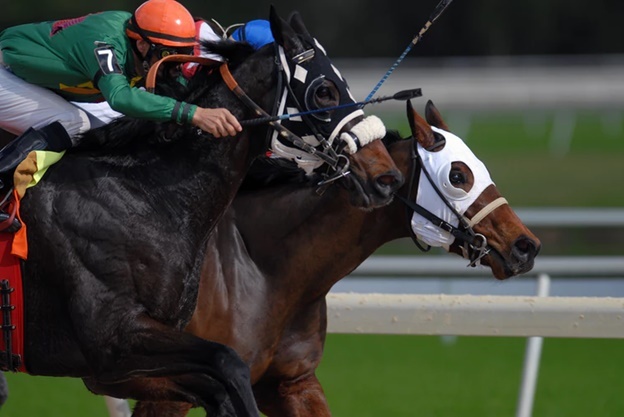 Secure precious forms of each horse racer if possible so you will know their previous performances whether they have joined a minor or a major horse racing show before the Kentucky Derby. It may sound awkward but for most sports analysts, picking the color of the right Kentucky Derby winner has something to affect when it comes to betting the right one. These colors are even listed in forms which you can ultimately refer. In some cases, color does not really affect; however, this is something you need to consider. If you look back to the history of horse racing shows you’ll see the similarity of colors of each horse racers that made it to the top even in the Kentucky Derby. Name and bragging rights have also something to say when it comes to choosing the right Kentucky Derby winner. Bear in mind that in the history of Kentucky Derby renowned names of trainer’s like Bob Baffert had been producing high-winning horse racers and you might consider betting his entries. That said, Game Winner and Improbable are the most favorite names to emerge in the Kentucky Derby and these horse racers are trained by nonetheless the Hall of Famer Bob Baffert. In this case, you may consider betting for these two horse racers. Ideally, each horse racer has its own background and story to tell. For most bettors, the right Kentucky Derby winner is someone that has an inspiring racing story ever recorded. 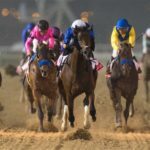 These stories of each horse racer refer to the challenges they have overcome while they are joining different horse racing shows before their entry to the Kentucky Derby. Their previous records of doing their best even they come out as underdogs but still emerged as a winner will surely bring another winning story in this year’s “Run For The Roses”. 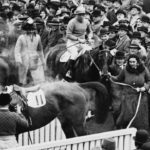 Throughout the course of the horse racing history, there are entries who faced different challenges with regards to their health before they joined their respective competition and still able to finish the racing and ended up with flying colors. As a better, referring to the story of successful horse runners is a consideration you might want to apply in the 2019 Kentucky Derby. The paddock is the place where the horse racers are saddling before the racing starts. In this case, you might want to observe the entries in the paddock area so you will be able to see how are they doing before they run. A right Kentucky Derby winner should ultimately look prepared and shows aggressive energy before heading to the dirt track.